Operating System: This is an Ubuntu -based laptop. Requires separate purchase and installation of operating system software (like Windows), not included in the box. Refer to Dell website for drivers. Warranty : This genuine Dell laptop comes with 1 year domestic warranty from Dell covering Hardware Issues and not covering physical damage. For more details, see Warranty section below. 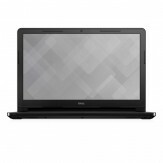 How to Buy Dell Inspiron 3565 AMD E2 15.6 inch Laptop (4GB/1TB HDD/Ubuntu/Black/2.5 Kg)?